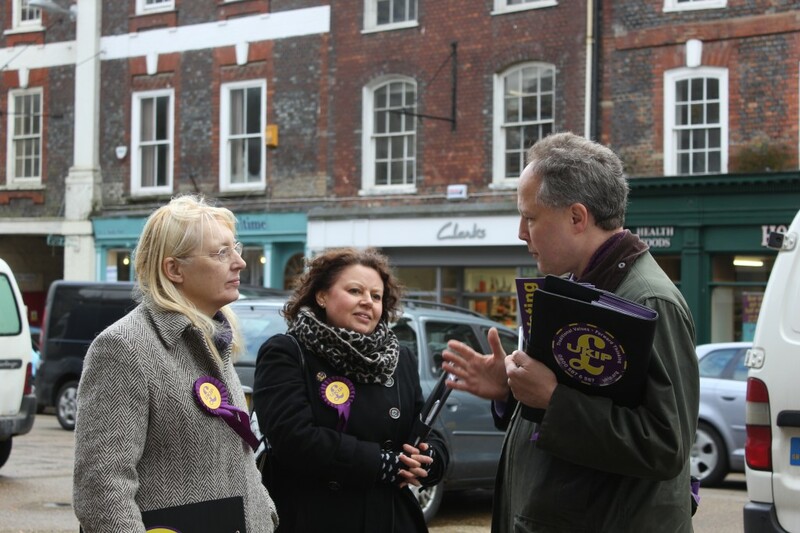 The UKIP Parliamentary Candidate for North Dorset, Steve Unwin, who has lived in Shaftesbury for twenty years, is taking his campaign up a couple of gears after a solid eighteen months of knocking on doors. Steve and his team of canvassers started door to door and street canvassing way back in September 2013. During that time he has spoken to thousands of North Dorset voters about their concerns for the future of the UK. “More and more people are becoming aware of the expense and dangers to democracy that membership of the European Union brings with it” said Steve. “But it doesn’t stop there. People are also worried about the burgeoning national debt, which has doubled under the Tories and now stands at £1.5 Trillion and is growing daily, and the effect that it will have on their children and grandchildren. “They are constantly being told by the coalition government that the economy is on the mend, but then they’re told in the same breath that there is more austerity to come, more cuts to local services and the police as well as murmurings of more defence cuts after the General Election – just at a time when the world is becoming more dangerous as each day passes.